Once cooler temperatures roll around it seems pumpkin pie spice is everywhere. Lattes, desserts, breakfast staples like pancakes and waffles ... you name it, there's a sprinkle of pumpkin pie spice in there. Before you think about purchasing ready-made pumpkin pie spice mix, why not consider making your own? There are many reasons to make your own pumpkin pie spice mix – most notably flavour and ease of preparation – so think twice before picking up a pre–made spice mix that has been sitting on the shelf for months. Your taste buds will thank you. Learning how to make pumpkin pie spice is easy. If you are an avid baker then odds are you have the ingredients in your cupboard already. All you need for making pumpkin pie spice from scratch are just five ingredients: cinnamon, cloves, ginger, allspice and nutmeg. You can buy the spices already ground, but buy whole nutmeg and grind it yourself. 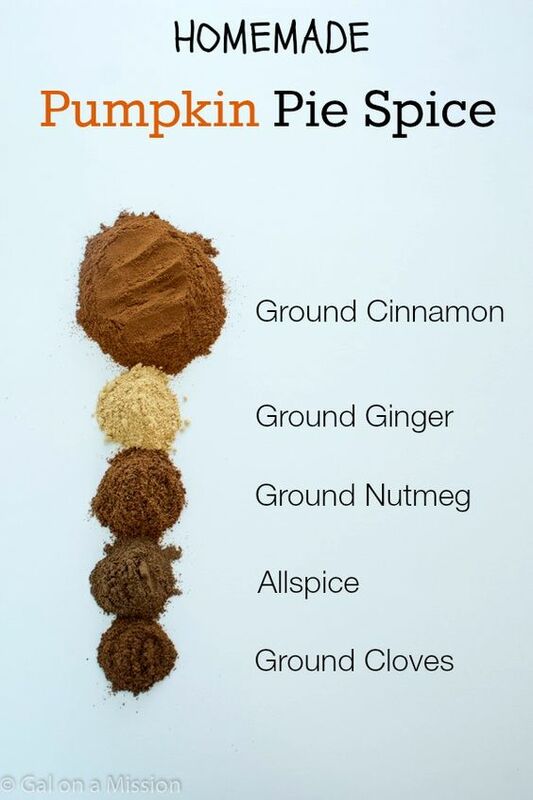 Nutmeg should be ground fresh every time because its potency starts to wear off as soon as it's in powder form. To grind it use a microplane, a small grater or a specialty nutmeg grinder. The recipe below yields about a tablespoon of pumpkin pie spice. It is a small batch but it goes a long way since you'll need about a teaspoon of pumpkin pie spice for most recipes. Mix all the spices together and store your homemade pumpkin pie spice in an airtight container. Use in cakes, pies, drinks and wherever you'd like a dash of fall flavour. One of the best uses for homemade pumpkin pie spice mix is to make a delectable pumpkin spice latte. Here's how to do it. Put your homemade pumpkin pie spice to good use by whipping up fun recipes like these pumpkin pie spice truffles.